All of the custom cabinetry, shelving, drawers, etc., were constructed in Antique White melamine. There is also a caramel glazing on the ridges of the raised panels. Plus, the floor-to-ceiling cabinetry included crown molding, glass doors, and display lighting. However, the real show stopper is the center island! 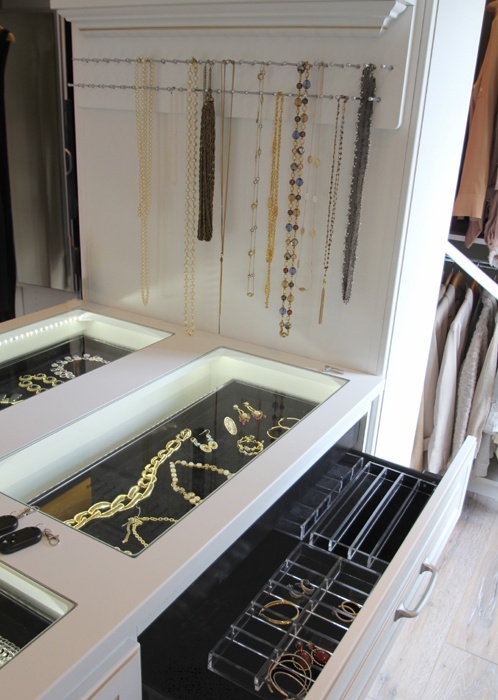 The island consists of several drawers on each side, each filled with two-tiered jewelry organizers. The countertop of the island consists of lighted glass panels. These panels show off our client's jewelry collection in a manner similar to your local jewelry store. A small portion of crown molding was glazed and mounted along the side wall at the end of the island, and outfitted with pegs for hanging necklaces. 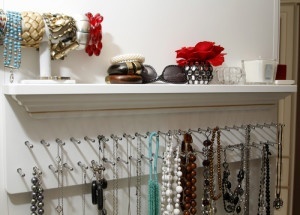 The molding created a mantle-type shelf, perfect for our client's collection of bracelets. 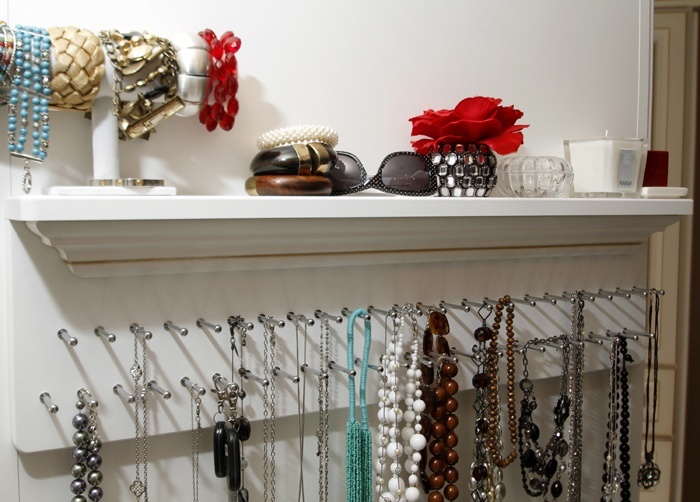 Our designer, Janet Stevenson, thoroughly enjoyed "tricking out" this dressing room and walk-in closet. It was a lot of fun creating a personal boutique for this client, and we appreciate her allowing us to take before-and-after photos!